this is a nice theme. well maintained. Check out our new theme. The Majorca theme is a smart and modern business theme that will help you in your business. Stucco is simple style business theme. 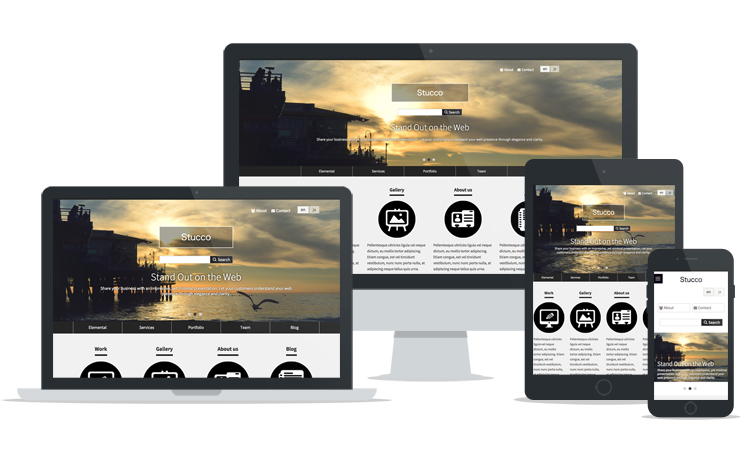 This theme uses the Bootstrap framework and is a Multi Devices, Responsive & Customizable Theme for concrete5 version 5.7 or later. Please read Documentation and Instruction page for the detail instruction. I DO NOT accept any support since this is a free add-on. However, I will still encourage you post your comment on support page. Do not install version 2.1.5 or earlier. Version 8.1 has a bug that you can not read SVG files. If you have installed the stucco theme in an earlier version, and you are using the SVG file as is, upgrading to 8.1 is an error. Please replace each SVG files with PNG files in file manager, then upgrade to 8.1. If you installed new version 8.1, please download the theme version 2.1.0. The sample content has been installed to prevent errors. It's shipped with Sample Content. It's almost same as the contents of Elemental theme except for the home page. 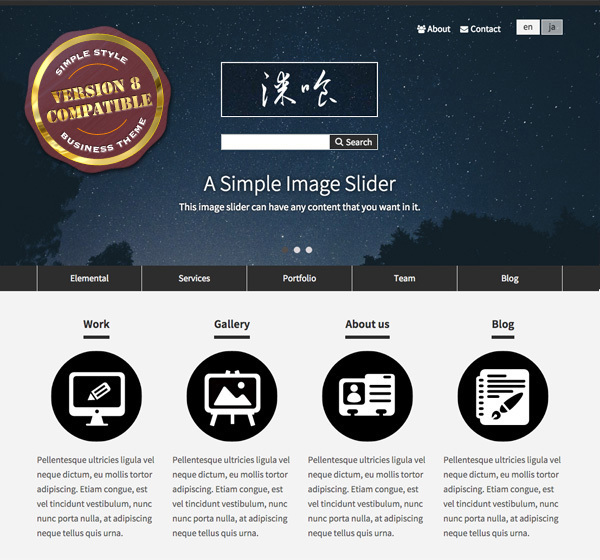 Live Demo site is customized version Sample Content with English and Japanese multilingual content. The use of topics (attribute). Make sure to use these custom templates.